Alan studied for an HND in Biological Science prior to taking up a position as research assistant with the Macaulay Land Use Research Institute at Glensaugh where he took over the daily running of the deer unit. He was then appointed Deer Manager at the JCB estate in Staffordshire. Over a five year period, the JCB herd grew to become the largest in the UK and underwent a strict recording and selection programme, gaining a reputation for producing high quality, easily handled breeding stock and first class venison carcasses winning both the Birmingham Primestock and Smithfield show in the same year. Alan then spent four years in Ireland developing deer farms and providing consultancy to a large producer group before taking a one-year fixed term contract as Assistant Deer Manager at Woburn Park with a view to then broadening his deer farming experience in New Zealand. He spent seven years in New Zealand, initially as Senior Stockman at Stanfields Bushey Park, New Zealand’s premier deer stud, before being appointed Stud Farm Manager with New Zealand Deer Farms Ltd. The company farmed 65,000 deer, and Alan was responsible for purchasing new genetics and breeding replacement stags of the highest quality to increase production from the companies breeding herd. He became a recognised industry expert in the management of large scale artificial breeding programmes and has produced some of the world’s top ranking high breeding value sire stags. He also project managed several large scale deer farm conversions and implemented pasture renovation programmes using high performance grass mixes and forage crops with a particular emphasis on production under drought conditions. 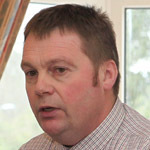 He now advises on deer farm management and farm development and has a successful wildlife tourism and deer management business. A full day course on farmed deer health and handling is taking place on Saturday 2 March at Cassafuir Fam, Blair Hoyle, Port of Menteith, Stirlingshire FK8 3LF courtesy of Jamie and Natalie Hammond. The course is being run jointly by the British Deer Farms and Parks Association (BDFPA) and the Venison Advisory Service (VAS), and led by Alan Sneddon, VAS and Gareth Boyes, Millbank Venison. This is the first time such a comprehensive course for deer farmers will have run in Scotland. The course runs from 9.00am to 6.00pm and is limited to 12 attendees only. Costs are £200 for BDFPA members and £250 for non-members with refreshments and lunch included. The Venison Advisory Service warmly welcomes the new strategy for Scottish venison, Beyond the Glen, which was launched by the Minister for Rural Affairs, Mairi Gougeon MSP, at Downfield Farm, Fife on Scottish Venison Day 4 September. 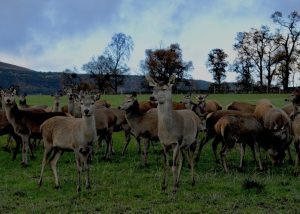 Following the success of the Introduction to Deer Farming day at Innerhadden Deer Farm in July, the Venison Advisory Service (VAS) and leading Rural Chartered Surveyors Bell Ingram, have teamed up again to stage a second event on Scottish Venison Day, 4 September, this time at Culligran Estate, near Beauly. The demonstration day will provide the opportunity to hear at first hand from professionals and experts in deer farming, on subjects including herd management and stocking, deer health, fencing and equipment requirements, finance and land management. The Venison Advisory Service (VAS) and Chartered Surveyors Bell Ingram, have teamed up to stage two Introduction to Deer Farming days in Scotland, one in Perthshire on Thursday 26 July, and a second in the north in September. The demonstration days will provide the opportunity to hear from professionals and experts in deer farming, on subjects including herd management and stocking, fencing and equipment requirements, finance and land management. A BDFPA open day is being held at Cassafuir Farm, Blairhoyle, Port of Menteith FK8 3LF on Saturday 29 April 2017 from 09.30 – 15.30hrs by kind permission of Jamie and Natalie Hammond. The full day event gives a comprehensive picture particularly to aspirational deer farmers about entry to the sector and getting started and includes what is sure to be an inspirational talk by Tom Lewis of Monachyle Mhor on a chef’s view of venison. The final demonstration day in the 2015 series will take place in Fife on Friday 20 November. The next deer farm and park demonstration project event takes place at Borgue Village Hall and Gledpark, Borgue, Dumfries and Galloway (courtesy of Rupert Shaw) on Tuesday 15 September 2015. The Deer Farm and Park Demonstration Project in 2015 will be based at a number of different locations rather than just one. Venues will be Clathic, Crieff, Perthshire, and Gledpark, Borgue, Dumfries & Galloway. There will be two days held at each location and a final day at a third location yet to be decided.